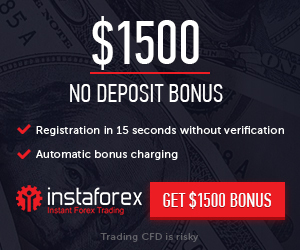 100% First deposit bonus offer up to € 5000, 100% offer to all its traders a first bonus of up to hundred percent (100%) on their first deposit up to € 5000. Bonus Ending Date: 31th December 2015. The trader is obliged to carry out transactions totalling a minimum of fifteen (15) times the amount of his bonus before he can withdraw the bonus amount. The trading bonus is automatically added into the trading account after it is granted; it is the client’s responsibility to contact customer support to ask not to get a trading bonus, if he does not want to have the bonus. <span style="&quot;font family:arial,helvetica,sans serif;" font size:12px"="">The bonus is is automatically withdrawn from the account during a withdrawal request.